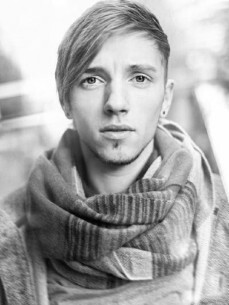 Lexer is a young man from the eastern part of Germany. It`s very tough to present his music in his home area. It´s a new style of deep and melancholic pop music and everyone is touched by his special way to produce and play this music. He is from a new generation of DJ´s who grow up with soundcloud, facebook and youtube. With some great Edits and Remixes (Band of Horses or Feist) he started to produce in 2012. Since then he has been getting massive support from big names like Klangkarussell, Alle Farben, Bakermat, Oliver Schories or Tom Novy and he was able fix some cool gigs in Paris, Amsterdam, Zürich and a few big Festivals in 2013. Now he has many EPs and Remixes in the pipeline. Alex aka Lexer is moving very fast and so it´s right to say: he is heading for a great future.